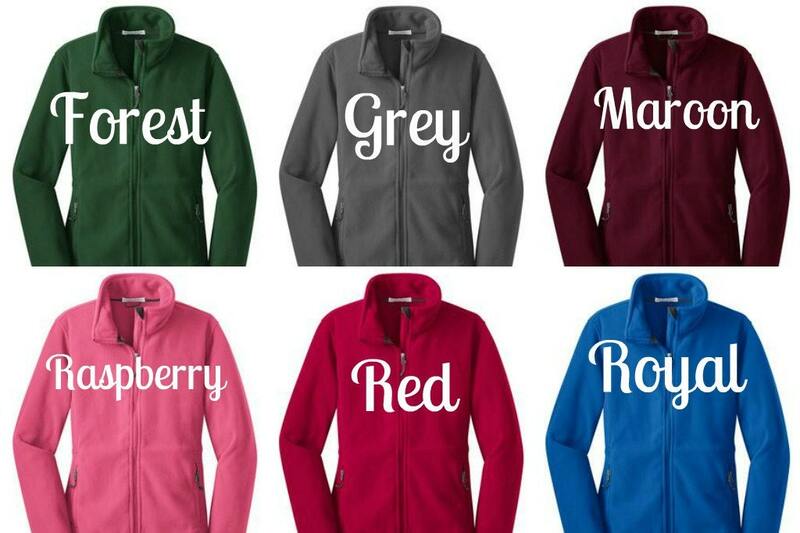 A simple monogram is the perfect way to personalize a classic and functional fleece coat. 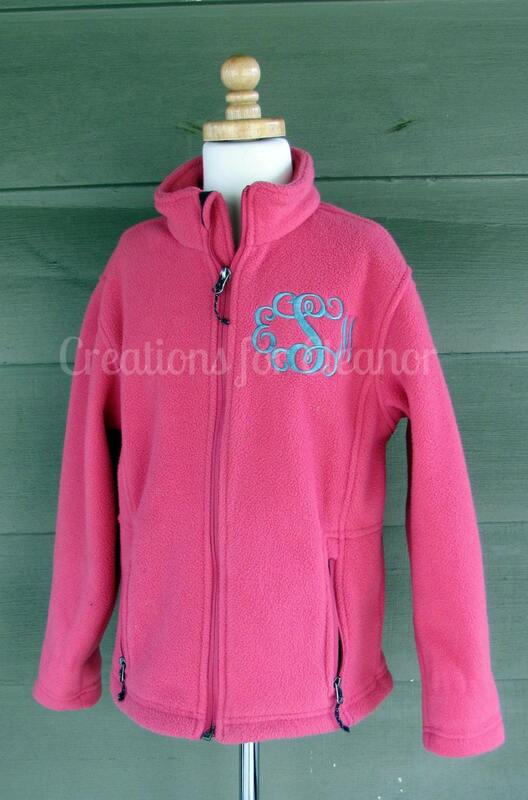 Jacket is made of 13.8 ounce, 100% filament polyester fleece. 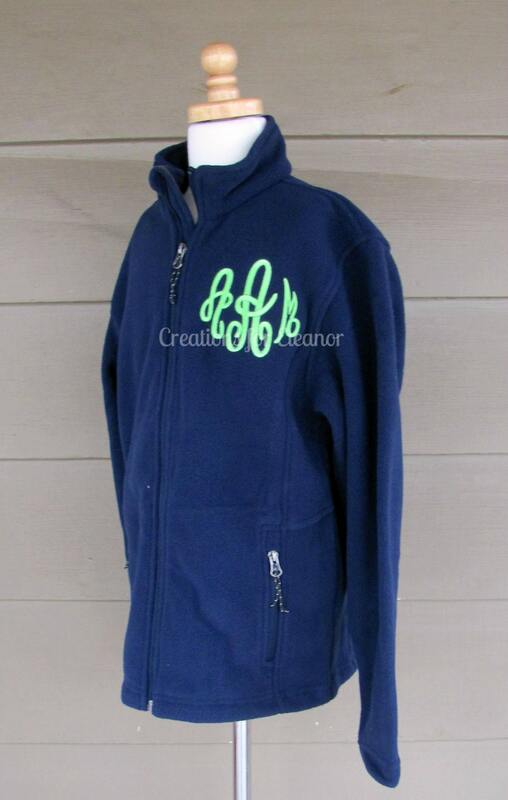 It has a twill-taped neck and also side zippered pockets. 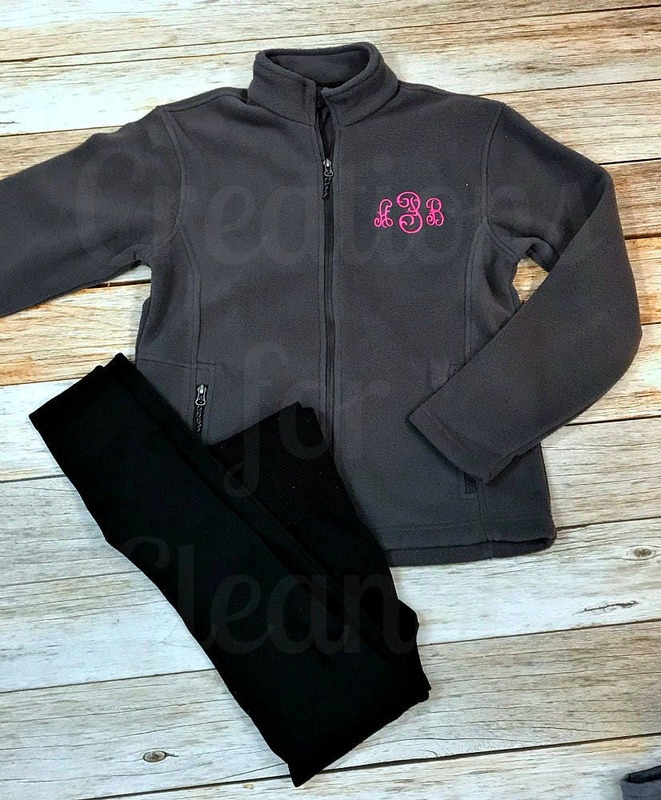 This classic fleece looks great on its own or stylish layered. Do note the availability of some colors has changed. Thread colors are gray, purple, lavender, hot pink, pale pink, bright turquoise, aqua, royal blue, navy, light blue, yellow, light yellow, lime green, emerald green, light green, red, black or orange and many many more. 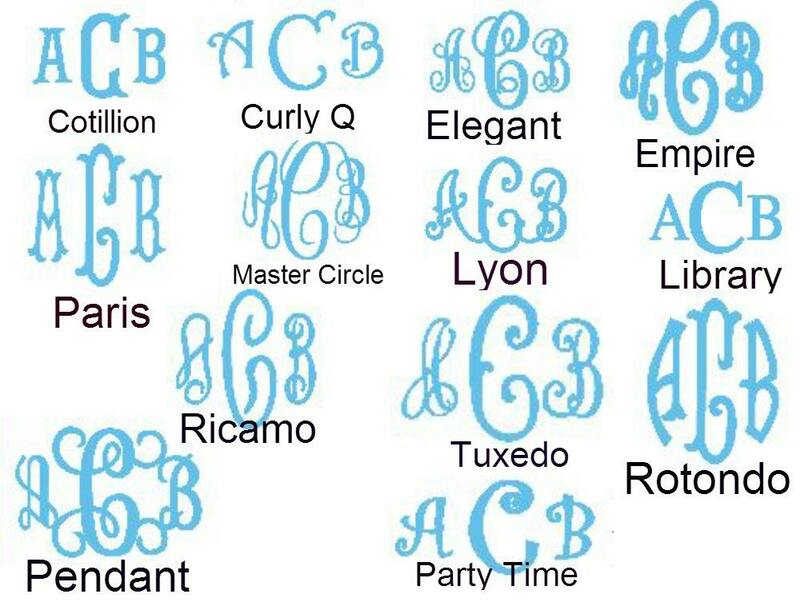 Monogram can be one or three letters, for three letter monograms please submit in order first LAST middle....monogram will be done in order submitted. 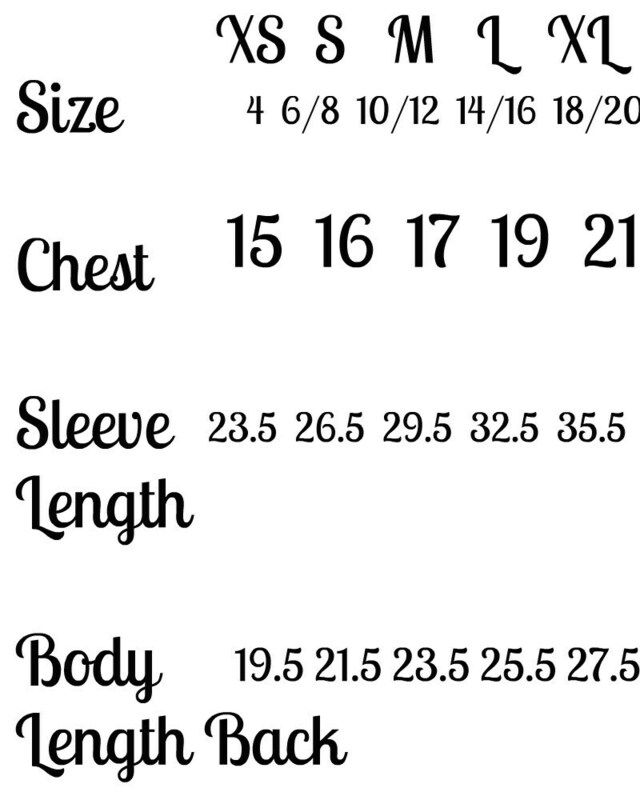 Due to the custom nature of this item it cannot be returned, please consult size chart or contact me if you have any questions.